When you decided to purchase your Kia, you spent a lot of time and effort ensuring that you found the best vehicle to compliment you and your lifestyle. Be sure that you also spend the time necessary to ensure that it stays running at its optimum level. At our dealership, we offer great auto services at an amazing price. Receive exceptional auto services by bringing your vehicle over to the Mike Shaw Kia service department today! No matter if you are traveling from nearby La Vernia or Robstown, TX, you have come to the right place. Our dealership is fully staffed with a team of certified technicians. Therefore, you can feel confident that your Kia will receive the proper maintenance or repair service that you are looking for. Whether you’re interested in a quick oil change, or if you have a larger mechanical issue that you’re dealing with – our team is here to help! We have the equipment needed to accurately diagnose the problem so that we can begin working on your repairs right away. Stop by our service center, and let us take care of your vehicle fast! Are you ready to schedule an expert service for your Kia? Make an appointment that works for you, today! Our skilled technicians will do what it takes to find the root of your automotive issue. Therefore, we can quickly handle the maintenance job that you need and get you back onto the road in no time. Does your vehicle’s service require you to purchase new parts? You can find genuine Kia parts from right here at our dealership! 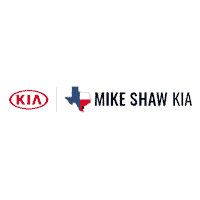 Visit Mike Shaw Kia to take advantage of the expert services we have available. You can also discover great savings opportunities at our dealership. Check for the service and parts specials that we currently have available. Afterwards, schedule your service appointment online, or call (361) 541-4597 to speak with a professional. Our experts will properly perform the services necessary to help you maintain a quality vehicle.